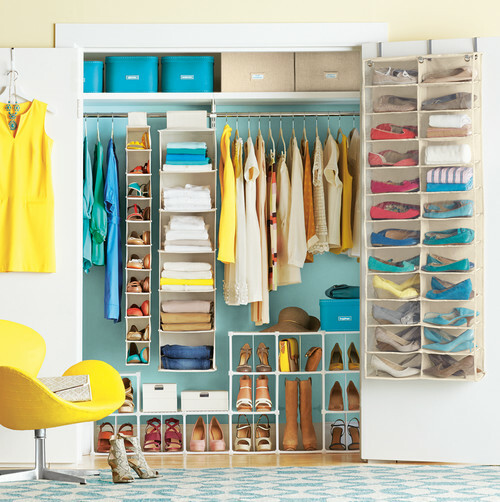 Home » Decor & Design » Storage & Organization » Shoe Storage Solutions – 10 Easy Ideas! Not everyone has a large luxurious closet. So, sometimes shoe storage is premium space in a home. But, there are some ways to tap into unused and even unrealized space to store those precious accessories. These 10 shoe storage solutions offer unique techniques to put that unrealized space to good use. Corners in a closet are often awkward spaces that leave one befuddled with how to get the most out of it. Consider adding a Lazy Susan at the bottom of this space to create more usable area for shoes. If there is no extra usable space inside a closet, consider adding an additional chest of drawers just for shoe storage. Drawers can be converted to pull out shoe storage by inserting a few dowel rods. Play around with the spacing to get the greatest number of rows for your particular shoe size. For a standard depth drawer, most people can eek out three rows per drawer. Creating an art feature around mirrors is also a great way to provide shoe storage solutions. Here, PVC pipe has been used to create these shoe cubbies. However, square cubbies can work nicely as well. Consider adding pull out shelves beneath closet cabinetry. It only requires 6-12 inches to be able to store shoes. So, sometimes a space that was once overlooked can become useful. Plus, the pull out shelves makes it easier to access the shoes. Likewise, shoes only require about 12 inches of wall space. Usually, there is enough space along a bare wall to mount shoes. Most people think that they need shelves, which take up too much space. However, dowel rods mounted on rod brackets can serve the purpose just as well without requiring as much space. To create this look, alternate brackets at 1″ and 3″ depths from the wall. Adjust spacing to fit your particular shoe size. Another very easy way to use wall space is to hang shoes from casing. This probably requires the least amount of depth from a wall, and is relatively inexpensive. 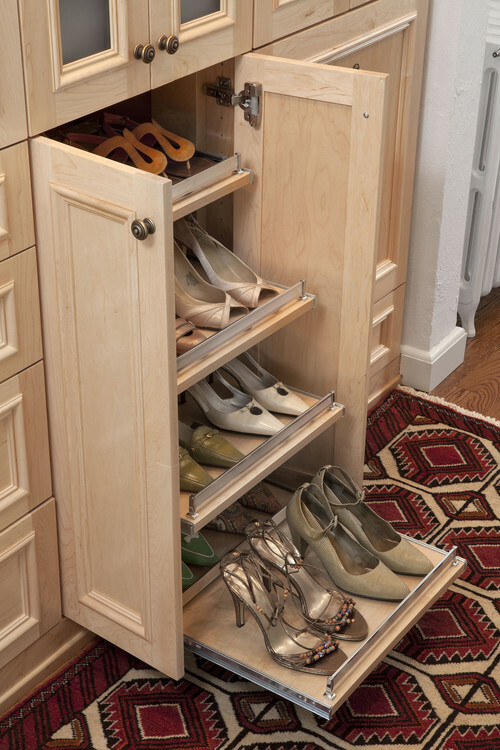 Consider converting cabinet space into shoe storage space. For narrow cabinets, replace shelves with shoe racks set at an angle. The narrower the cabinet the steeper the angle will need to be. For deeper cabinets, add pull out shelving to utilize the entire depth of the cabinet. If you really like to show off your shoes, consider mounting shelves to any wall for fast and easy wall decor that doubles as storage. 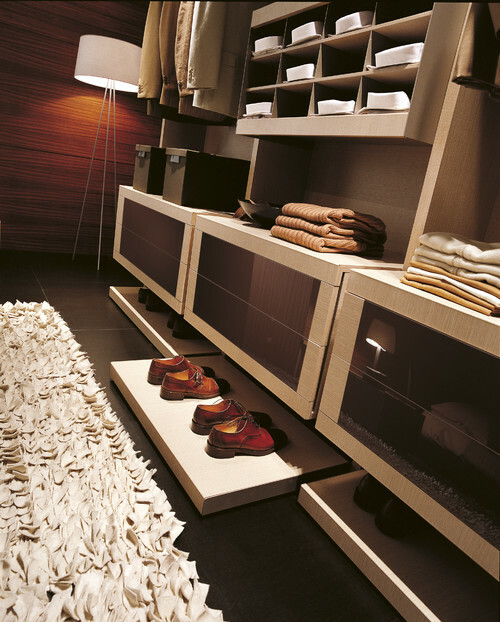 For standard closet space, cubbies can be stacked on the floor beneath hanging cloths to create shoe storage solutions. Also, don’t forget about all of that interior door space. There’s no reason to let that all go to waste. Just hang a shoe cubby over the door for instant storage space. Just thought this image was too cute to leave out. I hope that these shoe storage solutions have inspired you or aided you in some way. 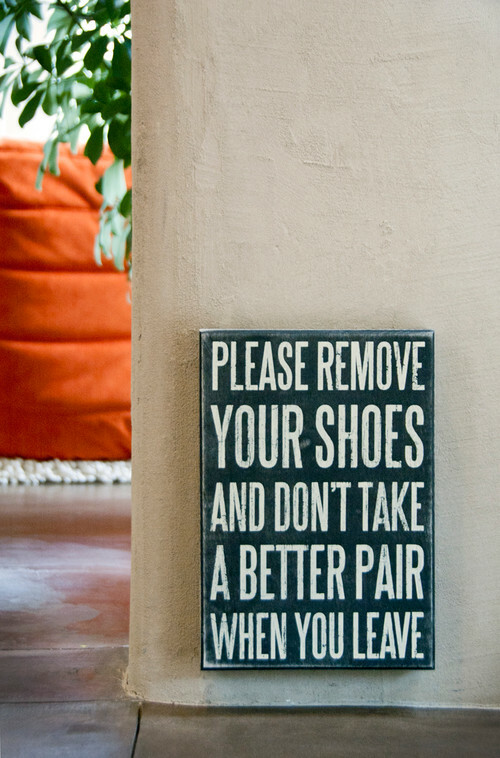 If you have discovered another great way to store shoes, please feel free to share it with us.